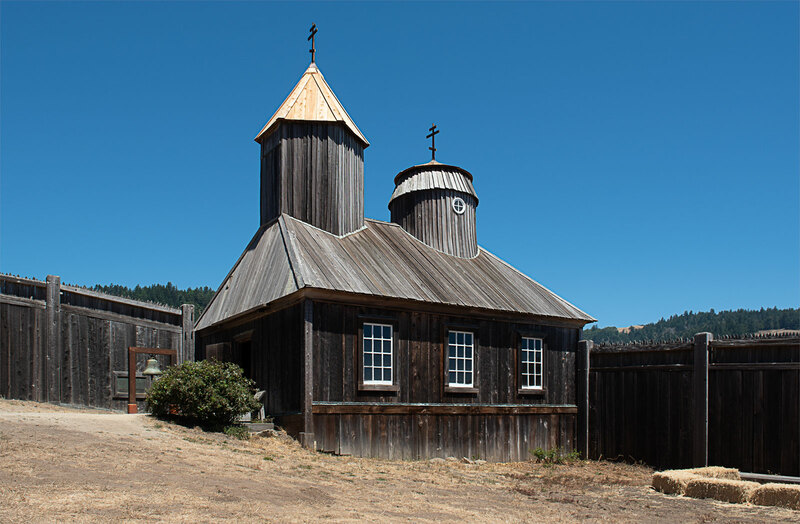 I was in Sonoma County to zipline at Sonoma Canopy Tours and decided to extend the trip with an excursion to Fort Ross, the Russian settlement along the California coast. First, Sonoma Canopy Tours allows guests to bring a camera, including a DSLR. Make sure you have a secure camera strap with sufficient reach since your camera will be strapped to the harness at chest level. I was using a 24-70 mm lens, though a 28-300 mm would have given me more options for the longer runs. The big challenge is the lighting. Even early in the morning, the light was quite harsh with most photos featuring a mix of shadows and strong day light. Sonoma Canopy Tours is located in Occidental, California. If you are heading their way, you might want to download your maps in advance for offline use. From Sonoma Canopy Tours to Fort Ross, I had one bar at best, with most of the journey spent with no data connection. No maps. No Yelp. It felt like time travel because I had to ask for directions and dining recommendations. Fort Ross was an interesting detour. It was perfect for a side trip. The visitor center offered an exhibit on the history of Fort Ross, and a short walk led to the enclosed grounds of the settlement. There are a few sparsely furnished buildings that could hold your attention for an hour or so. The real treat was the Sonoma County coastline. The first photo was taken at Duncan’s Cove at the Sonoma Coast State Park. The coast was magnificent that afternoon with blue skies, clear aquamarine waters, and strong surf crashing against the sea rocks.